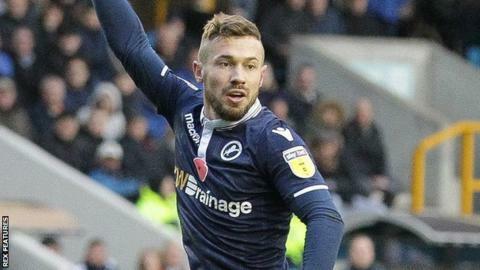 Millwall and Wales striker Tom Bradshaw has been ruled out for the rest of the season with a knee ligament injury. The 26-year-old underwent an operation in London on Tuesday after being hurt late on in the Lions' 2-0 loss at Brentford on 3 November. Bradshaw, who has won three caps for Wales, moved to The Den on loan from Barnsley in August and will sign a permanent deal in January. He has yet to score for Millwall in 10 Championship appearances.